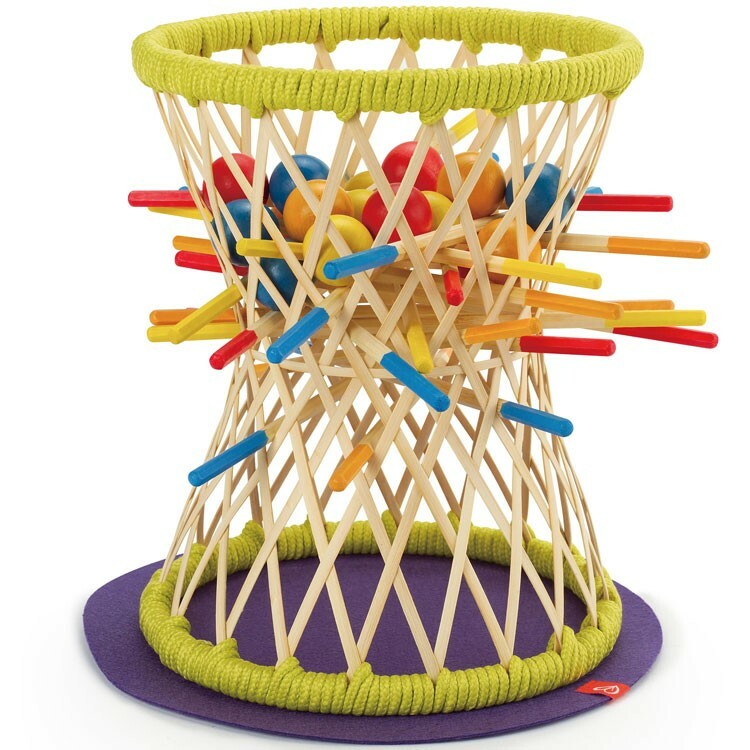 The players of the Hape Pallina bamboo sticks and balls smart game attempt to pull the bamboo color-coded rods out of the basket without dropping the balls. 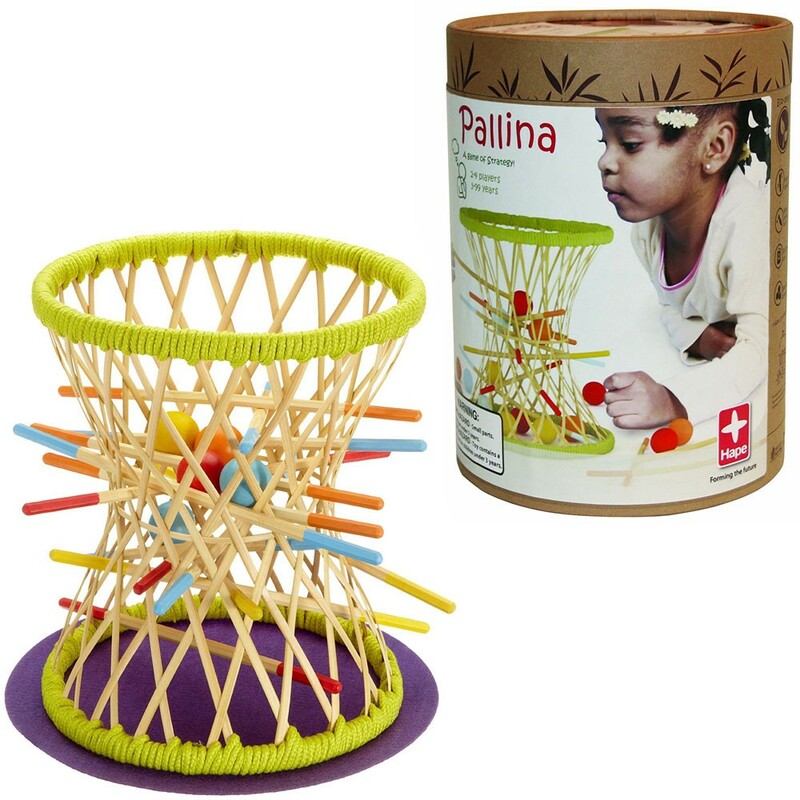 Pallina is an environmentally friendly strategy game for the youngest kids and the whole family. 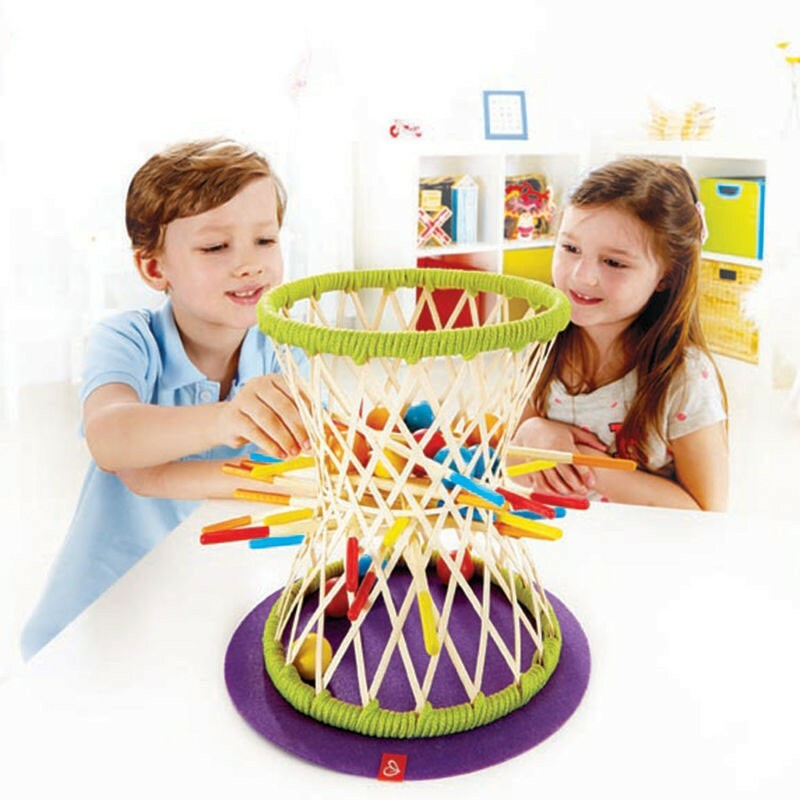 Pallina Bamboo Sticks Strategy Game by Hape contains a unique bamboo basket, 20 bamboo sticks in 4 colors, 16 wooden balls in 4 colors and a purple felt mat. 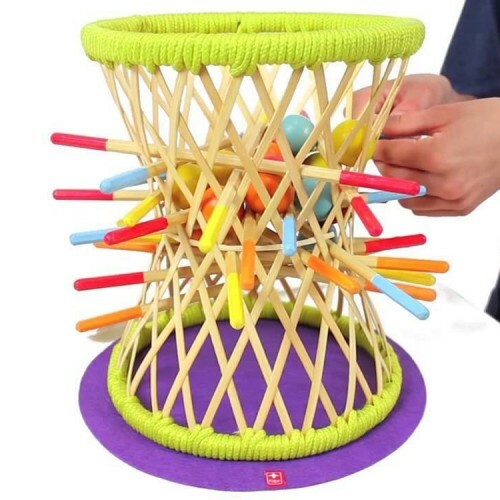 The players of the smart game attempt to pull the bamboo color-coded rods out of the basket without dropping the balls of your color. 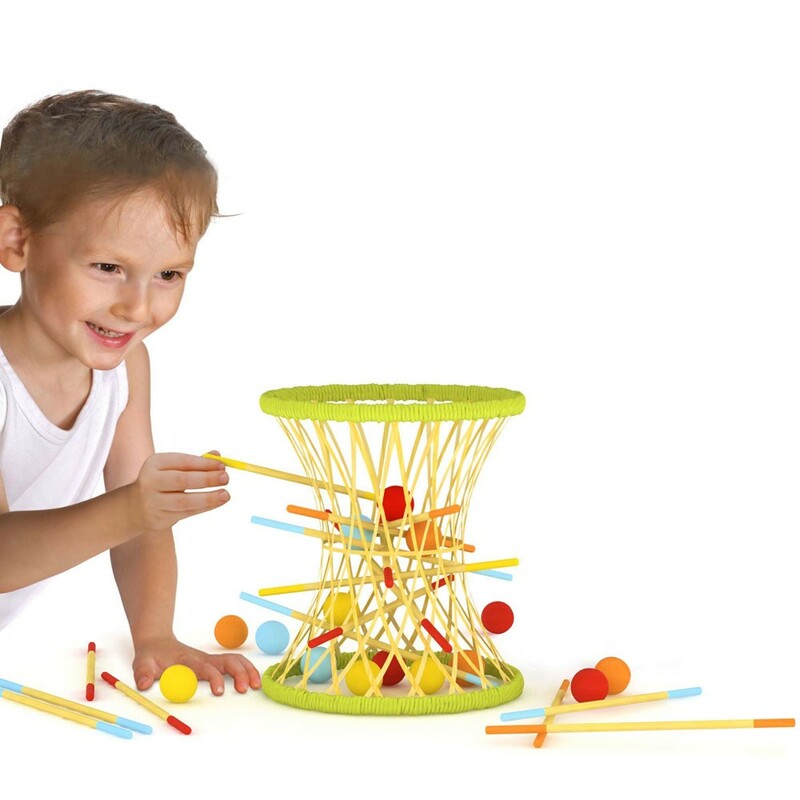 Watch out pulling those sticks! 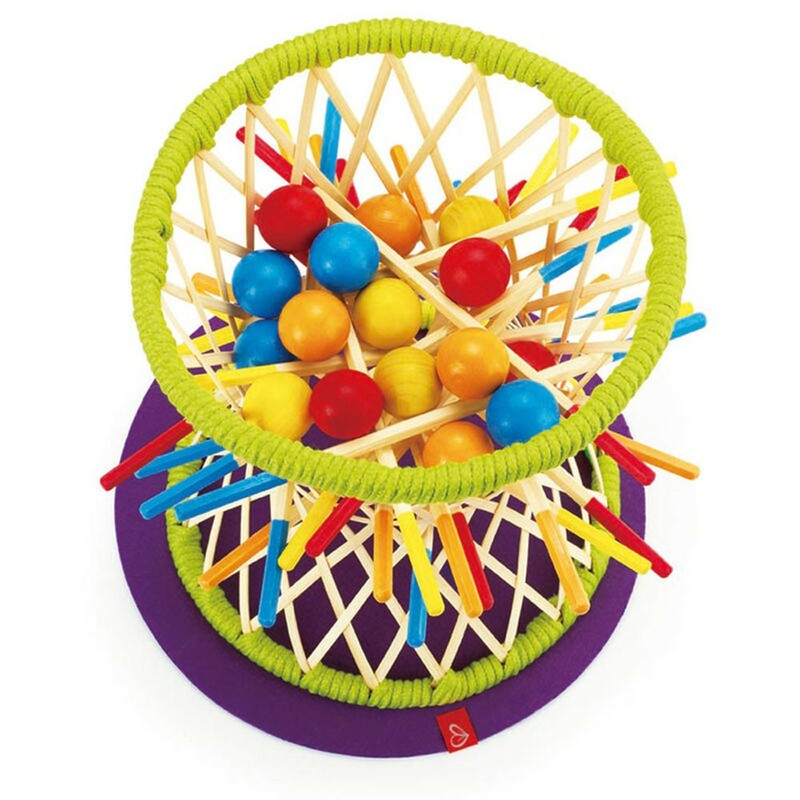 With Pallina you need a careful touch and thoughtful strategy. 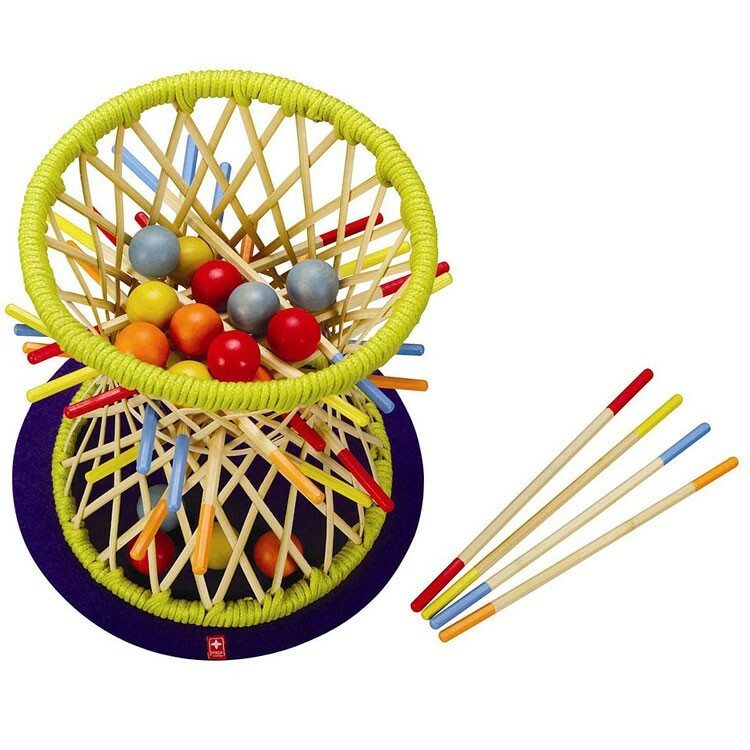 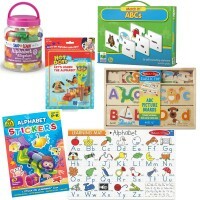 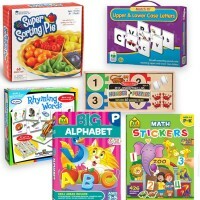 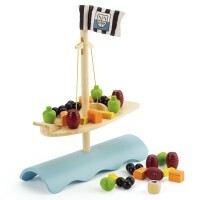 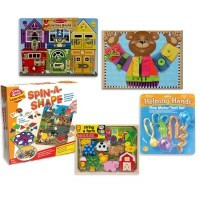 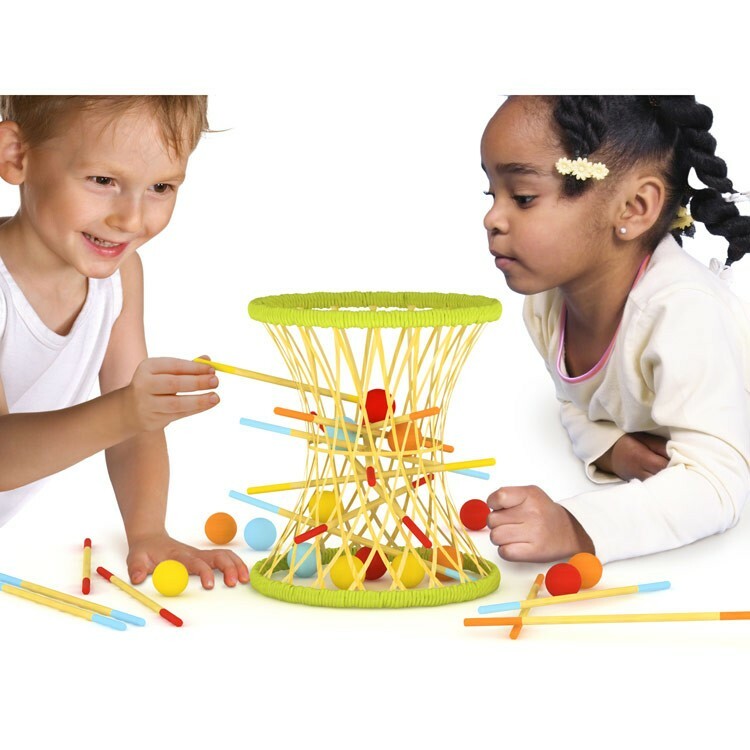 Pallina Bamboo Sticks Strategy Game from Educational Toys Planet comes packaged in a neat basket with the convenient carrying string and a bamboo handle. 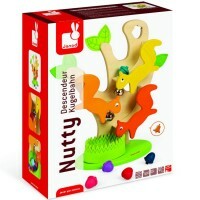 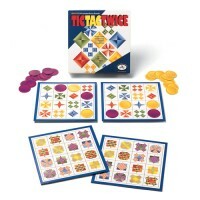 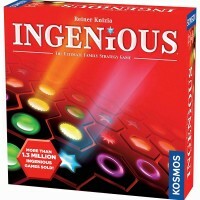 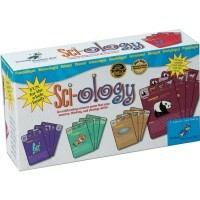 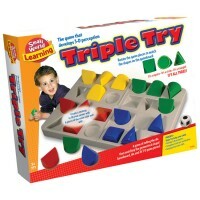 Exciting challenge, highest quality standards and eco-friendliness of this smart game are guaranteed. 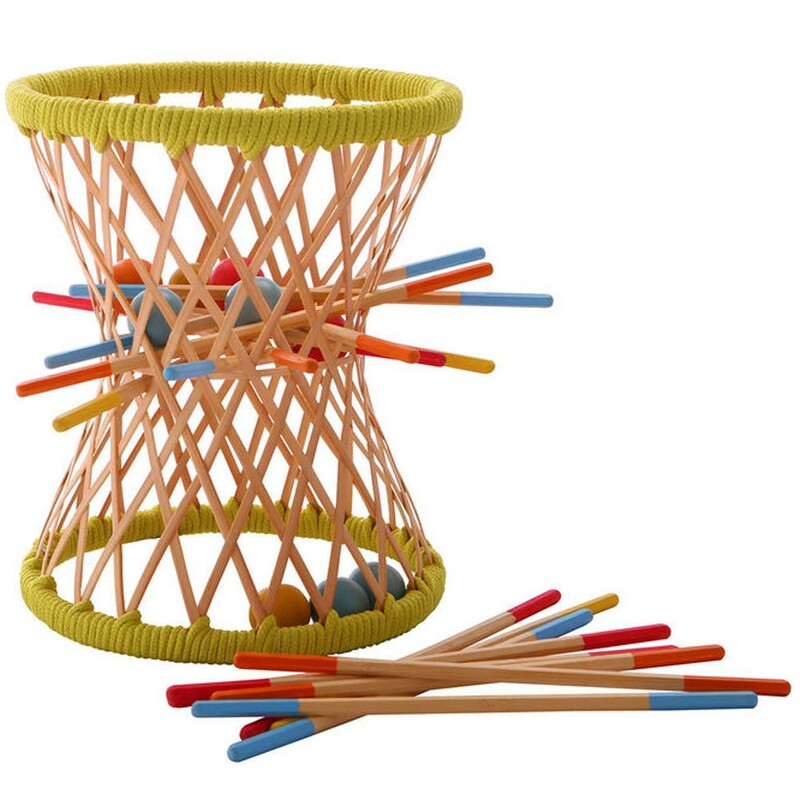 Dimensions of package 12.6" x 9.45" x 9.45"
Write your own review of Pallina Bamboo Sticks Strategy Game.